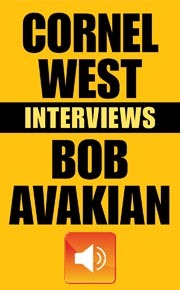 Bob Avakian’s extensive body of work includes more than a hundred films, books, articles, and audio recordings. To access this body of work, click here. This book is for anyone who cares about the state of the world and the condition of humanity and agonizes over whether fundamental change is really possible. 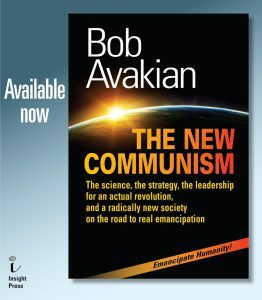 It is a masterwork and a master class — it is a living laboratory of the new synthesis of communism developed by Bob Avakian. 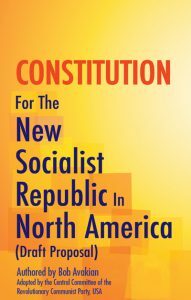 It is also striking in its ability to combine high level revolutionary communist theory and modeling of revolutionary leadership with a visceral, colloquial and passionate style that will resonate with and be accessible to a wide variety of readers. 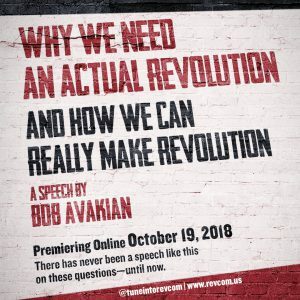 In the summer of 2018, Bob Avakian gave a speech in several cities, now available online. There has never been a speech like this on these questions… until now. 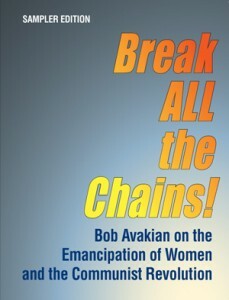 We are excited to usher in the New year with a prepublication edition of this new work by Bob Avakian. 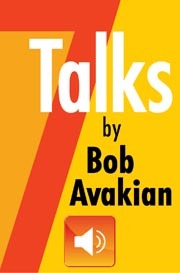 Find serious answers to serious questions, and much more, in this hour-long talk and Q&As from Bob Avakian. 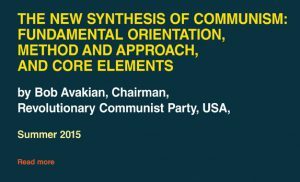 An important talk given by Bob Avakian Summer 2017. 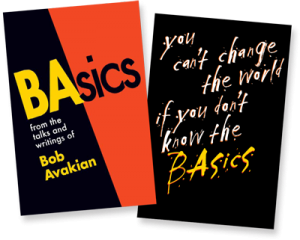 BAsics, from the talks and writings of Bob Avakian is a book of quotations and short essays that speaks powerfully to questions of revolution and human emancipation. These were collected from over 30 years of BA’s work. You can find a selection of those works here. 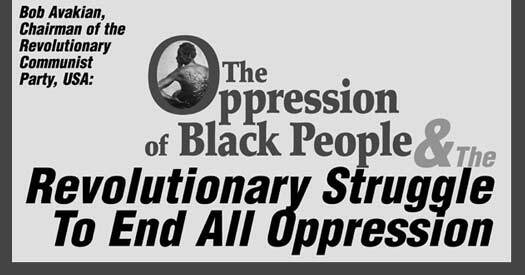 The Bob Avakian Institute made extensive use of quotes from BAsics in palmcards, posters and other materials. Order from the distributor HERE. 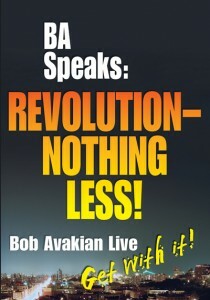 Now available online at revolutiontalk.net. 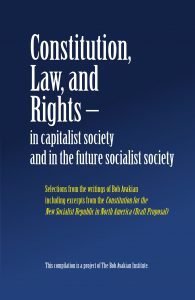 This compilation brings a truly unique perspective to a subject that is of critical importance for all those concerned with social justice: constitution, law, and rights. 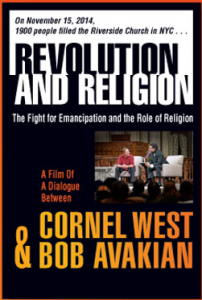 Now on DVD – a film of the November 2014 historic Dialogue on a question of great importance in today’s world between the Revolutionary Christian Cornel West and the Revolutionary Communist Bob Avakian. In the early part of 2015, over a number of days, Revolution conducted a wide-ranging interview with Ardea Skybreak. 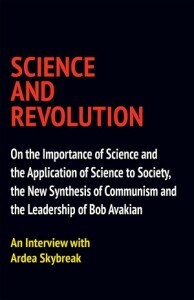 A scientist with professional training in ecology and evolutionary biology, and an advocate of the new synthesis of communism brought forward by Bob Avakian, Skybreak is the author of, among other works, The Science of Evolution and the Myth of Creationism: Knowing What’s Real and Why It Matters and Of Primeval Steps and Future Leaps: An Essay on the Emergence of Human Beings, the Source of Women’s Oppression, and the Road to Emancipation. 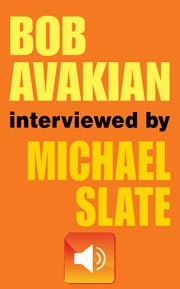 This interview was first published online at www.revcom.us. 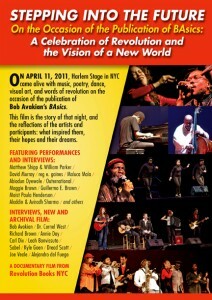 On April 11, 2011, Harlem Stage in NYC came alive with music, poetry, dance, visual art, and words of revolution on the occasion of the publication of Bob Avakian’s BAsics. This film is the story of that night, and the reflections of the artists and participants: what inspired them, their hopes and their dreams.